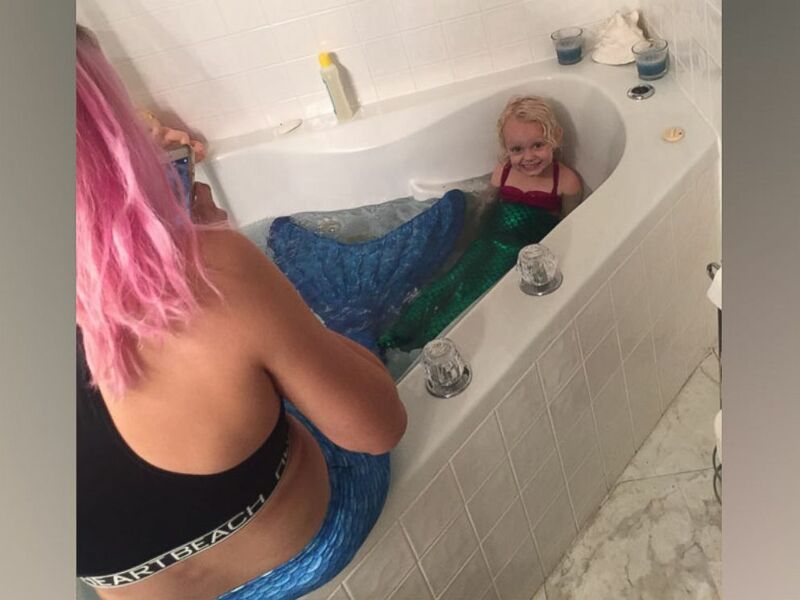 One little girl’s magical mermaid dreams of being “Under the Sea” came true during bath time last week. Keegan Carnahan, a teen from Tampa, Florida, was helping give her nanny’s daughter a bath while the nanny, Jenna Haslam, was busying making dinner. 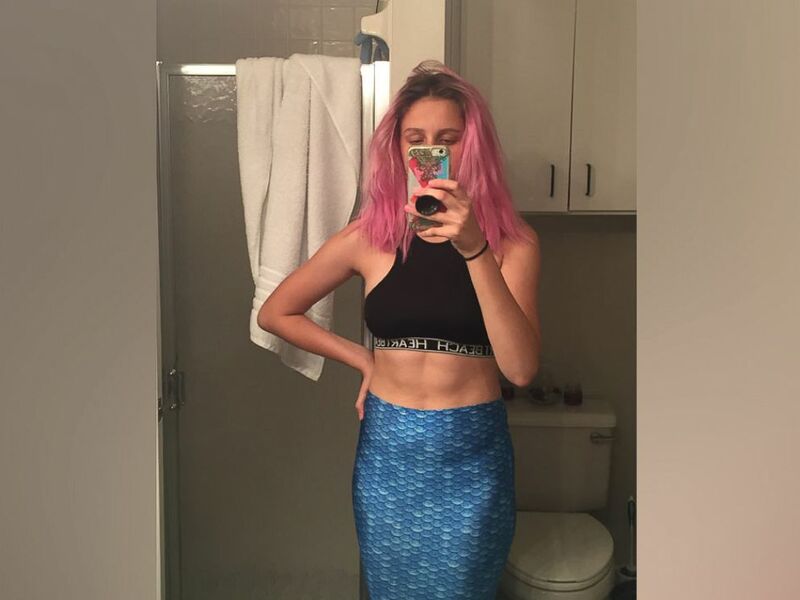 Haslam’s daughter, 3-year-old Alidy Clark, thought Carnahan looked like a real-life mermaid because of her dyed pink hair, so the teen decided to take it one step further by putting on a waterproof mermaid tail she had in her closet. 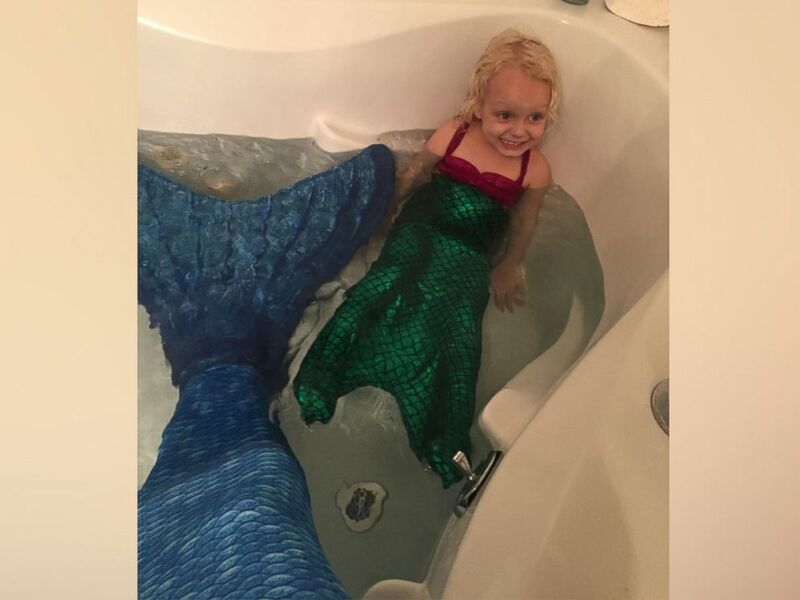 Keegan Carnahan, of Tampa, Florida, and 3-year-old Alidy Clark had a blast playing with their mermaid tails in the bath tub. The timing worked out perfectly because Haslam had just ordered Alidy a children’s mermaid tail too, and the two quickly flipped and floated their way into “gadgets and gizmos a-plenty” paradise. Carnahan tweeted photos of their enchanting mermaid time together on March 22 and it was an instant hit on social media, garnering 15,000 retweets and 25,000 likes. The girls’ sweet bonding time meant the world to Haslam, who said her daughter has been going through a tough time since Alidy’s father died in November. Carnahan, however, was thrilled for the opportunity to brighten Alidy’s day while channeling her own inner-mermaid.